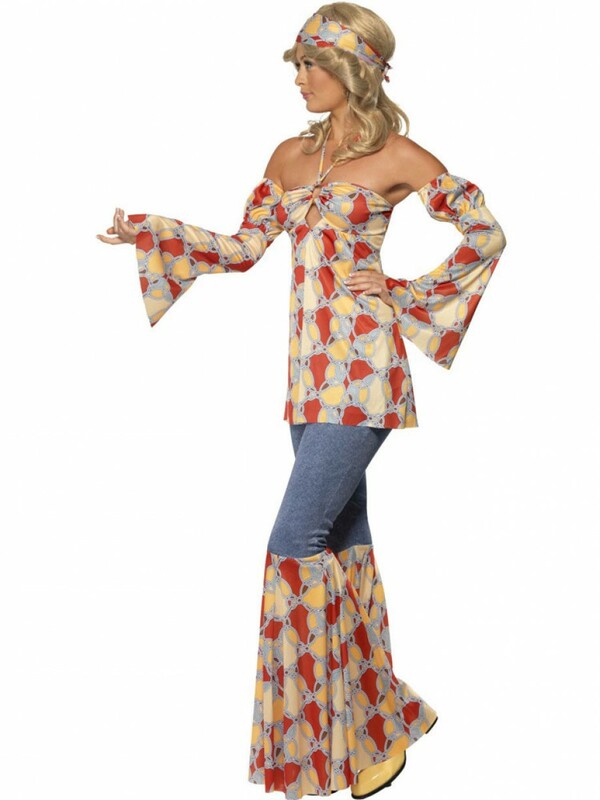 A striking Retro Hippie Costume including Halterneck Top, Sleeves, Flares and Headband, perfect for Film/70s/Dance themed fancy dress occasions! 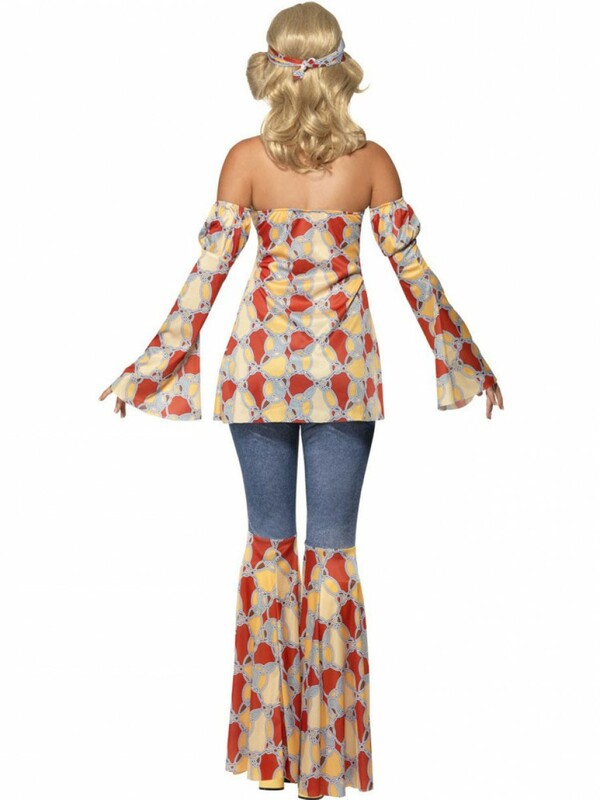 Spread the message with this Retro Hippie Costume, including Halterneck Top, Sleeves, Flares and Headband, ideal for Hippie/70s or Decade themed fancy dress occasions! The top is in a halterneck style meaning this ties at the back of the neck to fasten. Below the halterneck tie is a diamond-shaped cut-out shape. A pair of matching flared sleeves also have the red, orange and cream circular printed design making this costume really stand out to fellow party goers. Also included are a pair of matching flares which can be worn over any pair of trousers. 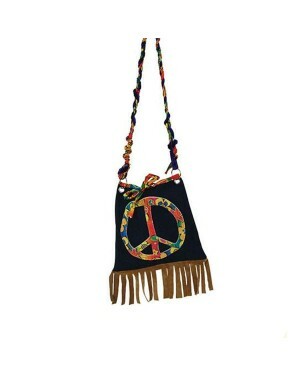 Adding the finishing touch to this great outfit is the colourful headband which is tied at the back of the head! 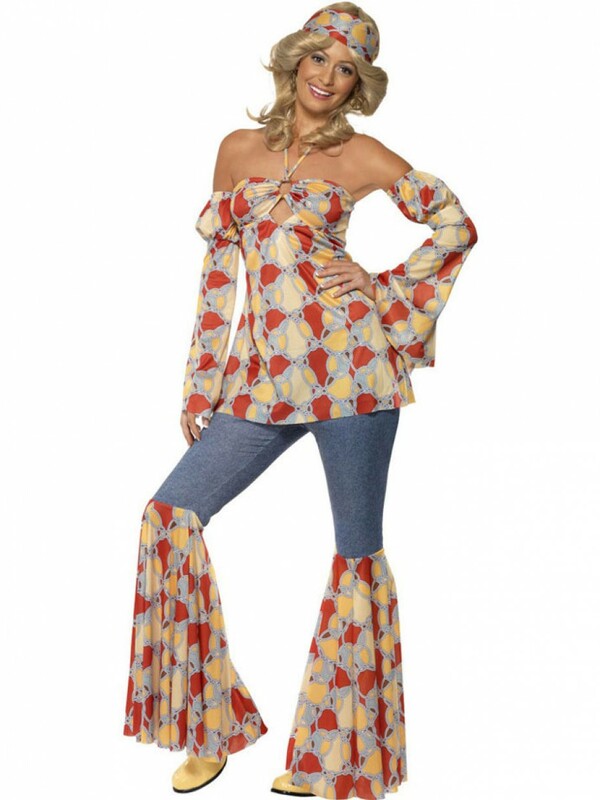 Retro Hippie Costume with Halterneck Top, Sleeves, Flares and Headband.